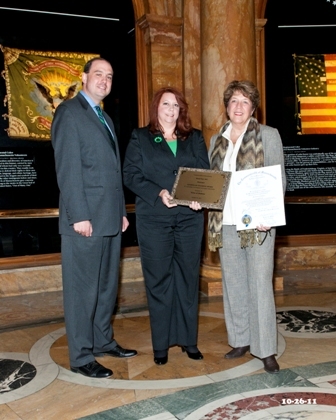 Hudson – The town of Hudson has received the “Leading By Example Award,” sponsored by the Massachusetts Executive Office of Energy and Environmental Affairs and the Department of Energy Resources. This award is given to state agencies, colleges, and municipalities that have implemented policies and programs that have led to significant and measurable environmental and energy benefits. The Hudson application focused on three projects – the library window project; the Senior Center installation of geothermal heat; and the water recycling initiatives at the Cellucci Splash Park.